Mass Effect's Mako gets a bad rap from many folks, but really, its heart was in the right place. That, and the fact it looked badass, means it still has its fans today, enough to go to the trouble of making a cool little remote-controlled version. 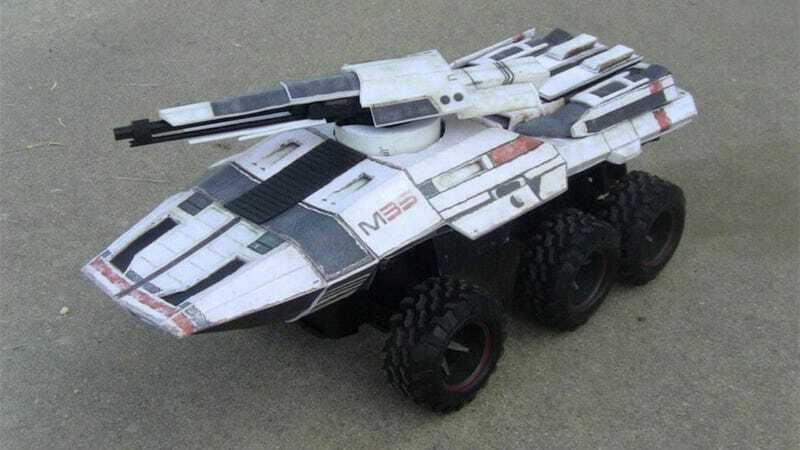 The RC Mako team have built this little vehicle that, in addition to looking like the "real" armoured personnel carrier/tank, functions like one too, with a working BB gun mounted atop that rotating turret.